It's funny how other people influence the way you shop. 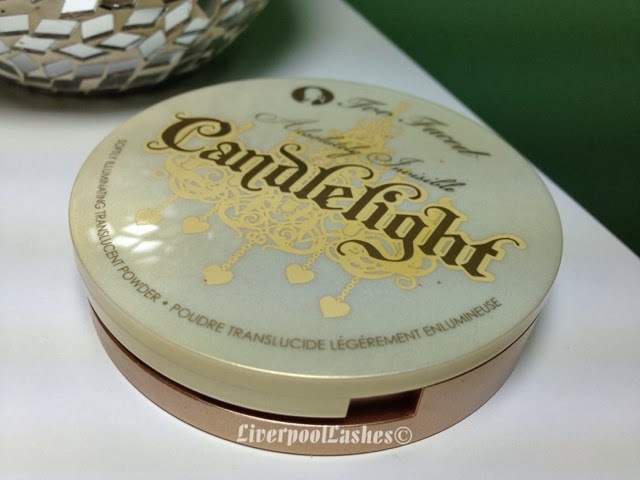 One of my friends had mentioned purchasing the Too Faced Absolutely Invisible Candlelight powder as she had been wanting to try it for a long time. I then saw it in Boots (those were the days that Too Faced and Urban Decay were sold in my local store, sad times) and as soon as I clapped eyes on it I knew I had to have it. 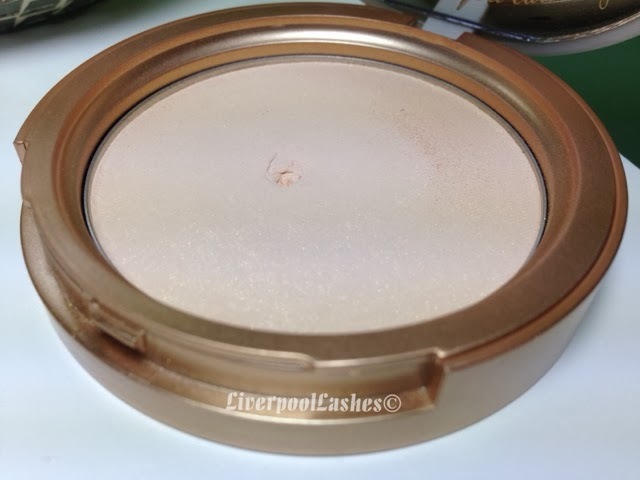 Now I bought this before I started getting into my glowy skin phase of late, way before I purchased theBalm Mary Lou Manizer Luminiser and in my mind it was meant to be an invisible highlighter. 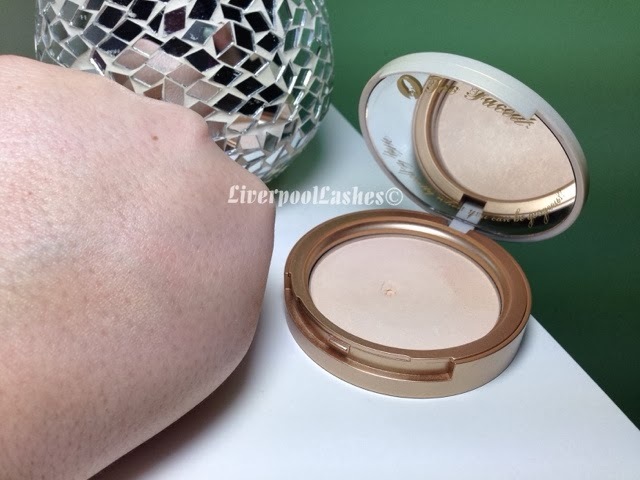 Fast forward to more recent times, at this point I've played with full on highlighters, a little bit of contouring etc and I decided to drag out my Too Faced Absolutely Invisible Candlelight powder once again. 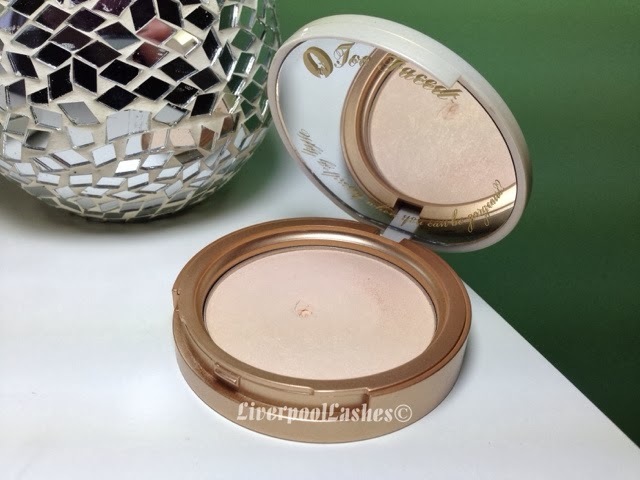 This time it dawned on me that it is meant to be a subtle illuminating face powder with hints of gold flecks. 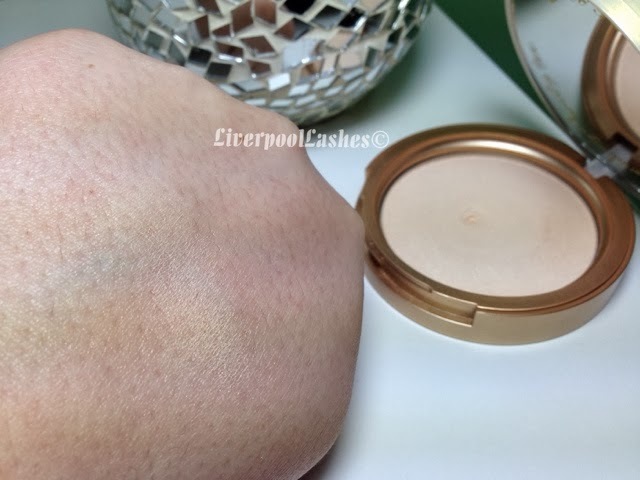 It can be used to give a glowy finish to a more matte foundation and apparently has even more uses like an emergency eye shadow primer, according to the Lookfantastic.com website. The bottom line is... I want to try and get through this powder this year. I don't think it's special enough to repurchase again as I'm sure there are similar, more purse friendly alternatives. I don't want to say this is a bad product because it isn't. It gives your skin a subtle glow but I just don't think it's the only one of it's kind so I would be tempted to purchase an alternative in the future.